One of the hot topics over the past few weeks has been Klout and the changes that the company made in how Klout scores were assigned, privacy issues, and other topics. I’ve gotten as tired as many of you with all the Klout talk. Tired enough that I’m really surprised to find myself writing a blog post on it at this point in time. 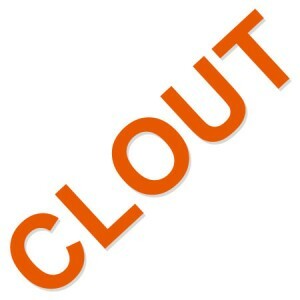 After careful consideration, I decided to pull the plug on Klout. I’ve been having a lot of clients, friends and acquaintances ask for my opinion. I know that removing myself from Klout will lead to more questions. I thought the best way to handle it was to simply write out my thoughts and provide a link to this for anyone who asks me about it. Mmm okay. Sure for businesses and business users, an ability to drive action – and a way to measure that – is a good thing – but on its own, driving action means very little without further refinement and analysis of what exactly that action is. I’ve always had a high Klout score versus many others. Yet there are many people I know personally – very powerful people who, when they tweet or share on Facebook – get massive response and have considerably lower Klout scores than I did. There are accounts like TweetSmarter who get 100+ retweets on most tweets, incredible click rates on links, yet have lower scores than I did. Before the changes in Klout’s algorithm – where they claimed greater transparency – Klout did actually give some numbers of value for Twitter and Facebook. You could see from changes in these numbers how your score could be impacted. But these are gone. Before the recent overhaul of its grading system, Klout was being gamed. By gamed, I mean people had figured out how to get a high Klout score without necessarily having influence. Since the changes, many people have quickly put the pieces together on how to boost a score. There are guides out there selling for up to $100 guaranteeing you’ll see your score boosted as much as 20 in some cases. I’ve seen a half a dozen new guides pop up since the changes. I’m also aware of “social media experts” who will work with you one-on-one to improve your Klout score. I know many people who have taken actions specifically to improve their Klout scores. Given the system can be gamed so easily – and that people are doing it – what is the real significance of a Klout score? It means nothing more than follower count on Twitter. My time is split between Canada and California. Originally my Klout account had me listed as being in Canada. I had this changed to San Diego after maybe 6 months of never getting a perk other than coupons to save on probiotic yogurt smoothies. Result? I was able to get a couple of $5 Subway coupons and a $50 coupon on sporting goods. I had claimed for two perks I never received. Any of the perks that I was actually eligible for, were not relevant to me. Meanwhile perks that were relevant I wasn’t eligible for yet people with lower scores were able to receive them. During the same time, I’ve received several thousand dollars of free stuff from companies and marketing agencies who have contacted me directly. “Stuff” that I was actually interested in and didn’t have to jump through hoops to get. Not samples or coupons but real products. I’ve spent a lot of time in the email marketing industry. People make such a stink (and rightly so) about being subscribed to lists without their permission. Klout creates profiles on social media users without their permission. You don’t even need to connect to Klout yourself to have a profile listed there. But in order to be removed from Klout, you need to specifically make the request. This is total nonsense! Although Klout has purportedly fixed the situation regarding minors on Facebook (and private accounts), the fact that this even happened to begin with is beyond reason. Saying, “We messed up on this one and are deeply sorry,” doesn’t cut it. If I had spent 5 minutes with someone from there while these changes were in the planning stages, I’d have picked up on this being a potential issue. If you don’t have someone in-house who is knowledgeable in an area, can’t get everything double-checked to ensure compliance with legal issues, you shouldn’t even be in an area. Now, this brings me to another issue – in spite of their assurances of doing what they can for minors, there has still not been any mention of privacy laws in countries around the world. Here is a great post regarding Klout which covers citizens of the European Union. From my understanding of Canadian privacy laws, compilation of data is only on an opt-in basis as well. A couple of months ago, Klout rolled out a +K system. Basically, users could assign a +K to other users for various topics Klout believes them to be influential on. By giving a +K to someone in a topic, it is like saying that the person influences you in that area. When I’d get tweets or notices from Klout that people had given me a +K, I felt almost obliged to acknowledge it by either thanking them or by giving a +K in return. I believe in acknowledging people. I have a limited amount of time I can spend on social media. I try to keep this to 90-120 minutes weekdays and 60-90 minutes on weekends. I tried using their share this on Twitter button to thank people. But oh… that gives Klout more exposure and helps them with their viral growth. Do I really want to do that? Then I tried just giving +K back. The thing is – I didn’t really know a lot of the people who gave me +K, but here I was saying that they influenced me in a range of topics that Klout had selected regarding the person. Plus, by virtue of thanking people and/or returning +K, I felt I was condoning a system I believed was flawed. I don’t have time right now to add Google+ to my mix of social networks, do I really want to spend 10-20 minutes a day on one that really does nothing? Klout’s method of generating topics a user is influential in is seriously flawed. They are rolling out a feature where topics can be suggested, but I don’t think that it will fix the problem. One of the things Klout does is lists the most influential users and those who have received the most +K’s on topics. But when you look at the actual lists – many of them show people who are entirely inappropriate for the topic. When I requested that my account be deleted, I was the 4th top person for the topic “entrepreneurship” in terms of +K received. The topic does make sense for me – at least I think so. It also helped attract some new followers to me. But the value of the listing was diminished by at least one of the other top people listed not even being an entrepreneur or someone relevant to the topic of entrepreneurship. Klout score has become increasingly used as one validation method when it comes to hiring – both individuals as employees and companies for work. But the changes made a few weeks ago more than rocked boats in this regard. I know of three people who lost contracts or were eliminated in being considered for employment because their Klout scores rapidly dropped. This is hogwash! That companies and decision-makers give any validity to Klout scores insofar as how well someone can do at their job makes no sense. The only reason it should be taken into account is if the work specifically involves improving or maintaining a Klout score – and even then I think it’s iffy. Klout, in their push for media attention, has tried to position itself as a measurement standard. They set the ball rolling on this. We’re in trouble economic times and people’s livelihood should not be based on a number derived from some mystery formula. First, if you actually communicate with people one-on-one rather than just doing mass broadcasts, it can negatively impact your score. Second, if you engage with people with lower Klout scores, it can also negatively impact your own score. Earlier this year, I had one interesting day. I didn’t have many tweets on Twitter but I had lengthy exchanges with 2 different people. Both of these gentlemen had scores in the low 50’s. My own score was close to 80. One of the men is the CEO of a leading force in the music industry. The other is an Executive Vice-President at a large marketing company. Both of their companies are household names. Both men are very influential. The day after the exchange my Klout score started to go down even though my activities went back to normal. My responsiveness even by what was displayed in Klout at the time (retweets, mentions, uniques, Facebook likes and comments) was the same. But I had that one day of extended communications. My Klout score started to nosedive and I went down 10 points over the next 2 weeks. I contacted Klout to ask why and was sent a form email saying that scores were based on more than activity, blah blah. Klout continues to be plagued with issues. From scores suddenly dropping down and going back up. To emails going out saying you’re eligible for a perk then you find out you aren’t – the email went out by mistake. Until they can get their act together, I don’t want to promote or condone what they are doing. How would I feel if a client said they wanted to try Klout Perks to generate buzz, I said yes and then an email went out by mistake about their perk? I know I said there were 10 reasons, but this last one really encapsulates everything else. By leaving my account there – even if I totally ignore that it even exists – and if I ignored my friends who choose to acknowledge my contributions – I am condoning a system I believe to be flawed along with a company that has a lot of management issues to work through. If I want to have an exchange with a dear friend on Facebook that I’ve known for 30 years who has a Klout score of 10, so be it. This is personal clout of being able to maintain long-term relationships – worth more than any ranking system. If I want to have an exchange with a powerful executive at a company who may be a great source of business for me yet has a Klout score of 30, so be it. This is business clout of being able to engage and generate real business – again, worth more than any ranking system. I posted a status update on Facebook after removing my profile from Klout. You can read some of the responses and reply if you’d like. I’ve already had a lot of people ask me about the steps involved in removing yourself from Klout. You can find the link to opt-out by going to “Profile Settings” and looking at the bottom of the page. 2. Make sure to take note before deleting your account of ALL your social media profiles you have given Klout access to so you can revoke access.